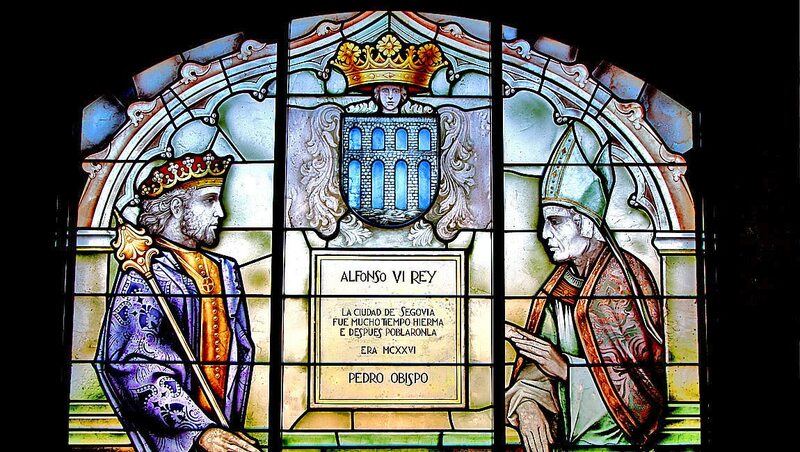 Discover Alberto Contador’s home town Pinto, Carlos Sastre and his foundation in Avila, Pedro Delgado and his love for Segovia, Bahamontes and his treasured Toledo. 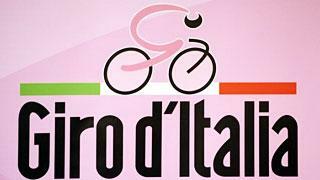 This is a cycling tour which allows you to experience the routes used by the four Spanish winners of the Tour de France. 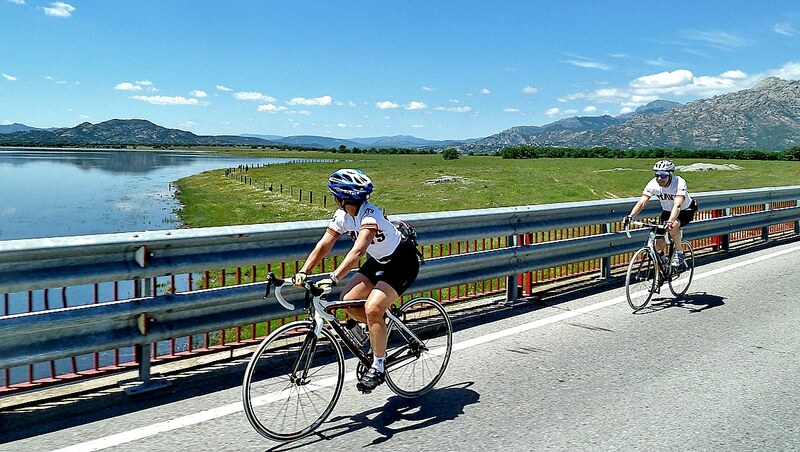 Not far from Spain’s capital, north of Madrid we have spectacular roads with very little traffic, mountains – and although they are not at the height of the Pyrenees or the Alps – they provide us with various first and second category climbs in the first day. 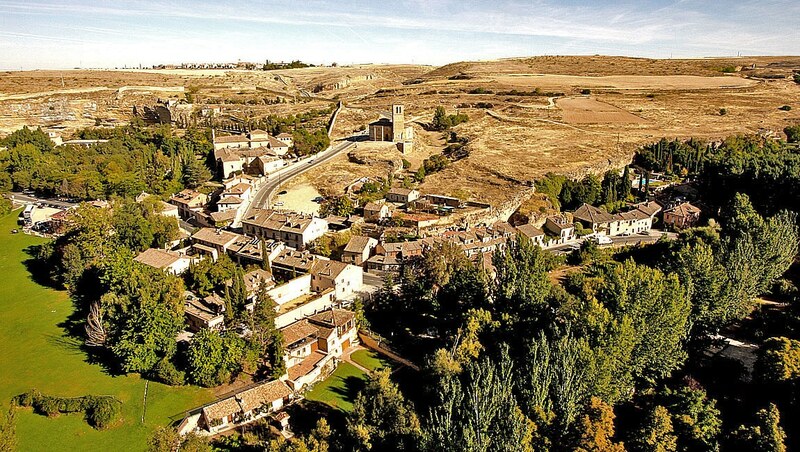 Nestled amongst them, you’ll find enchanting or medieval villages such as Pedraza, breathtaking historical sites, heritage protected cities such as Segovia and Toledo and monuments like the El Escorial’s Monastery. 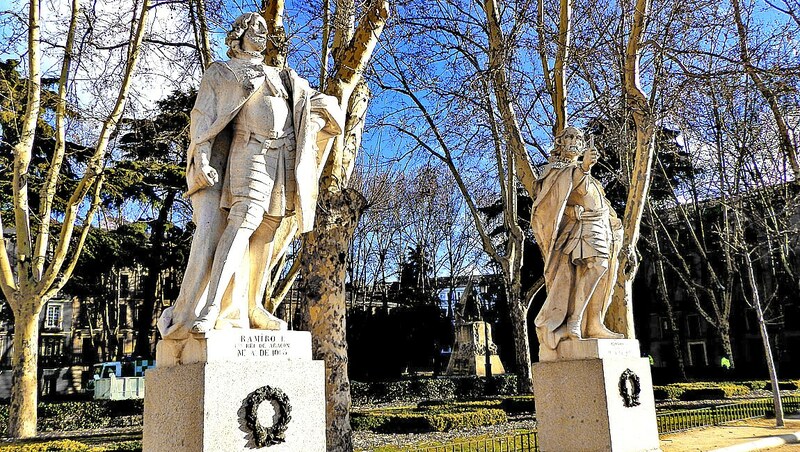 Discover the territory of Alberto Contador and his home town of Pintor, Carlos Sastre and his foundation in Avila, Pedro Delgado and his love for Segovia, Bahamontes and his treasured Toledo. 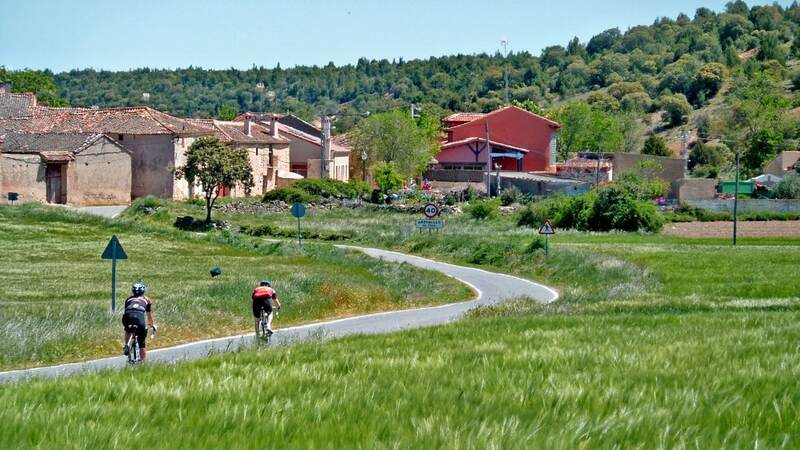 In one week you will understand why this part of Spain is the cyclists’ favourite, we’ll combine mountainous routes with more relaxed terrain, cycle along small and well paved roads, see ever-changing landscapes and stay in charming hotels. The tour finishes in Madrid with a Spanish ‘fiesta’ and flamenco and a cultural tour of the city. You’ll have the assurance of a support van, mechanical assistance and expert guides who have a great knowledge of the terrain. This is a fantastic tour to do in Spring or Autumn (in summer on request) Specialised tours can be organised for events, incentives and professionals for training camps. 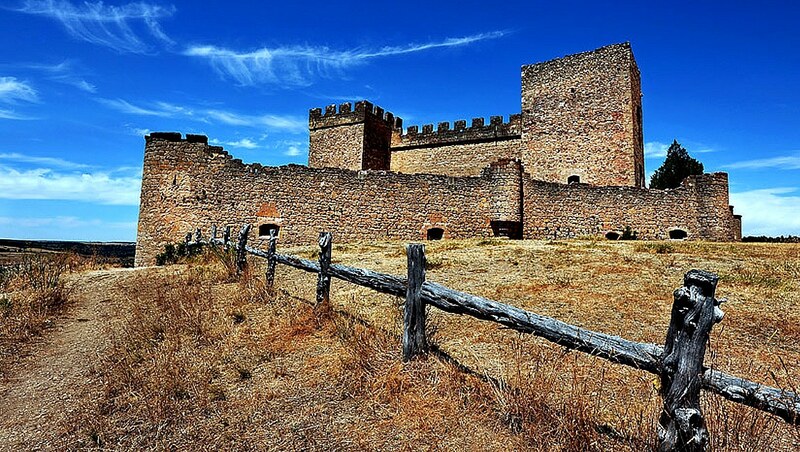 Guests of Bike Spain Tours are taken by van to the town of Soto de Real from where we will bike to Miraflores de la Sierra, passing before by the beautiful medieval castle of Manzanares. Once we fit your bikes and provide you with the maps and gifts for the tour, we’ll take a ride to get acquainted with the terrain. Soto and Miraflores are the preferred location for cyclists, since it combines flat, medium and high mountain passes. 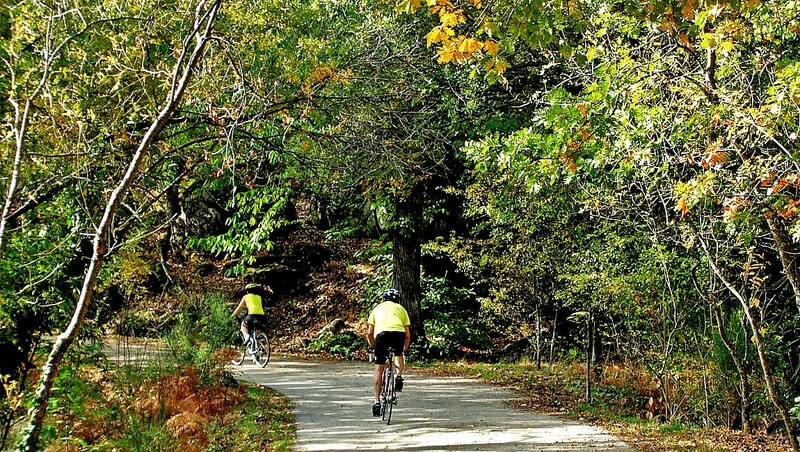 The cycling path which starts in Madrid, ends in Soto, so it is always busy with cyclists; most professionals come here to start their training programs. 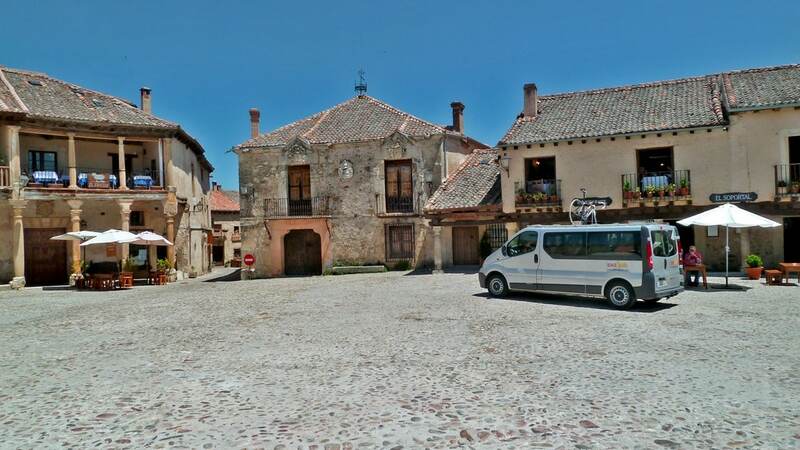 After breakfast, we’ll drive to the top of the Morcuera Pass, ride down and through the beautiful Lozoya Valley, visit the El Paular monastery and ride along the edges of the Pinilla Reservoir. 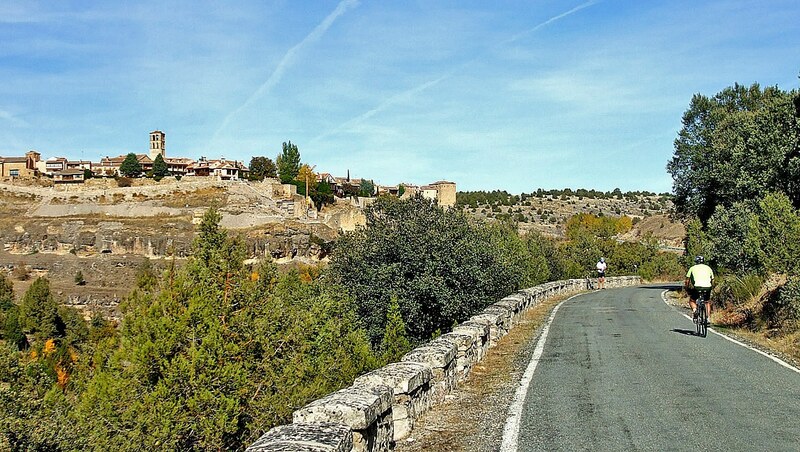 We’ll then go to Lozoya, along the valley and start to climb the Navafría Pass. 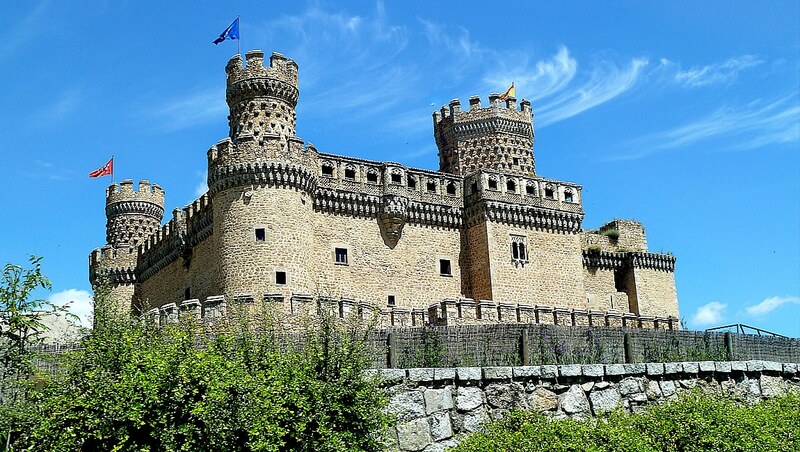 From here we ride along the northern flank of the Guadarrama Mountains, travelling through oak and pine forests on back country roads to the town of Pedraza – a perfectly preserved medieval town, complete with castle. 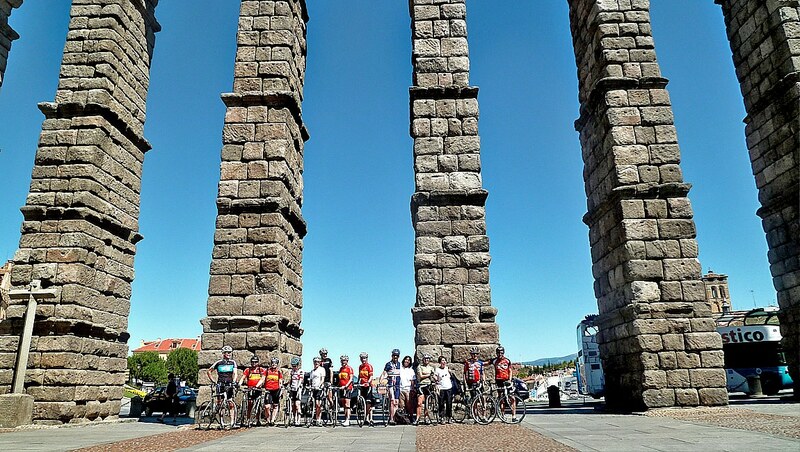 We’ll have lunch in Pedraza and then continue riding along the picturesque roads towards Segovia, where we’ll stay the night in a historic hotel located close to the roman aqueduct. 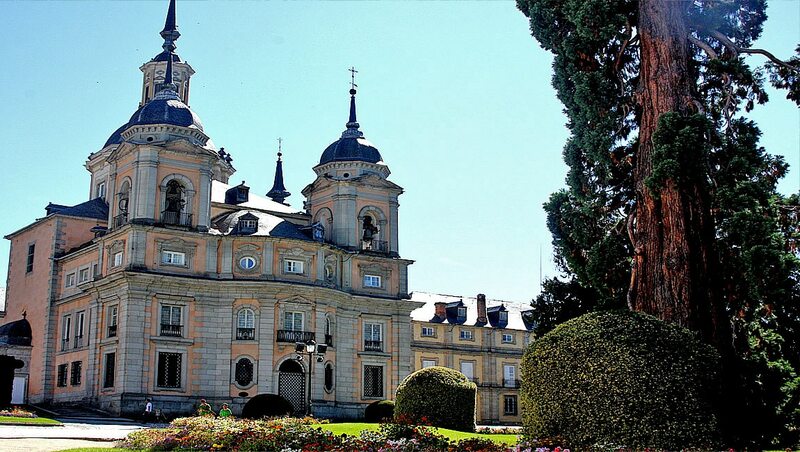 After check in we have a chance to visit Segovia’s Cathedral and Alcázar. Segovia is the city of Pedro delgado (www.pedrodelgado.com), now a presenter on Spanish television. He won the Tour of France in 1988. 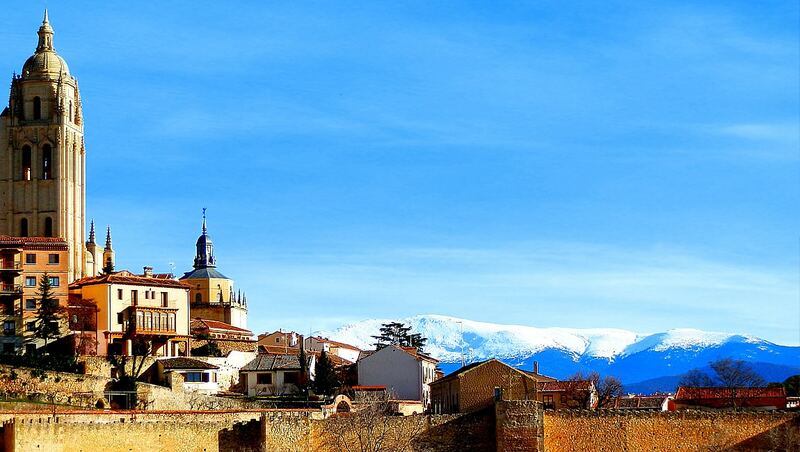 Segovia’s ancient streets and medieval neighbourhoods provide a great place to start today’s riding. We’ll pass along the ancient city walls, under the world-famous Roman aqueduct and go by some marvellously old monasteries as we travel around the city and head towards the town of San Ildefonso de la Granja, built by the first Bourbon monarchs of Spain, who were determined to re-create a little piece of Versailles in the dry plains of Spain. 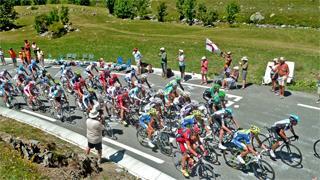 From there, we’ll continue by the pass of Navacerrada, a classic in the Vuelta Spain. 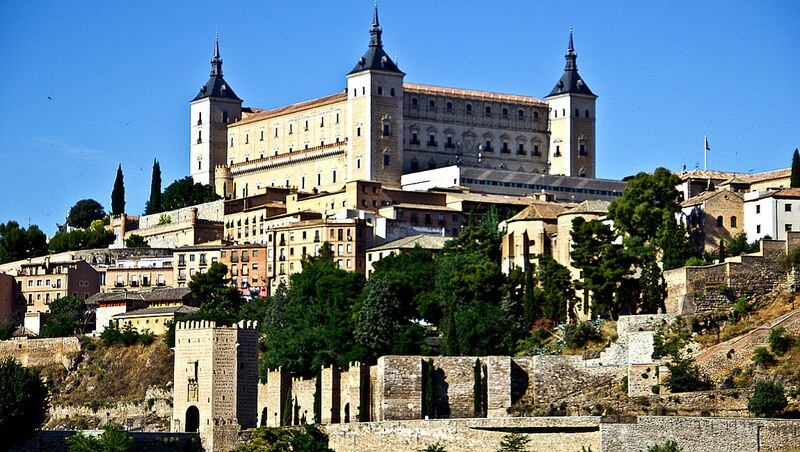 There is a fantastic downhill where you can reach 80 km/h descending into the town of El Escorial. Here you’ll visit the Monastery of San Lorenzo. Built between 1563 and 1584, the Monastery was the biggest building of the Renaissance period. Todays riding brings us closer to the territory of Carlos Sastre (www.carlossastre.com) winner of Tour of France in 2008. 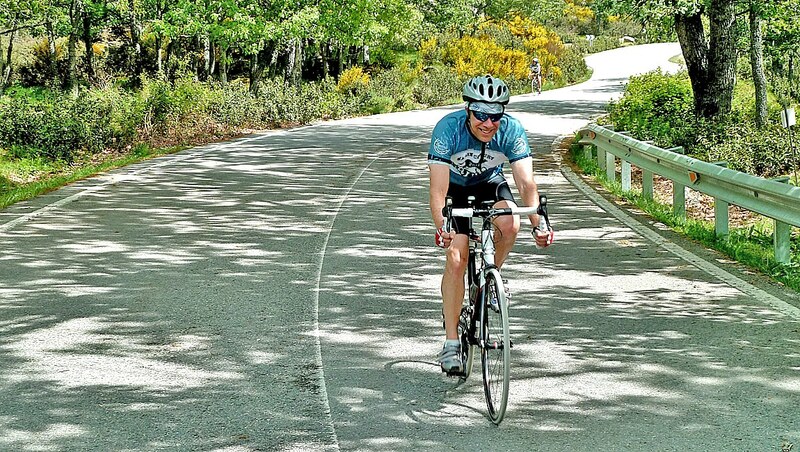 The mountainside setting of El Escorial is a favourite location for cycle tourists and road bikers alike; once we’ve had the chance to explore the area surrounding the San Lorenzo Monastery, we’ll cycle along the roads used by Carlos Sastre – medium mountainous terrain, very pleasant and quiet with some reservoirs, cow farms and pine trees. 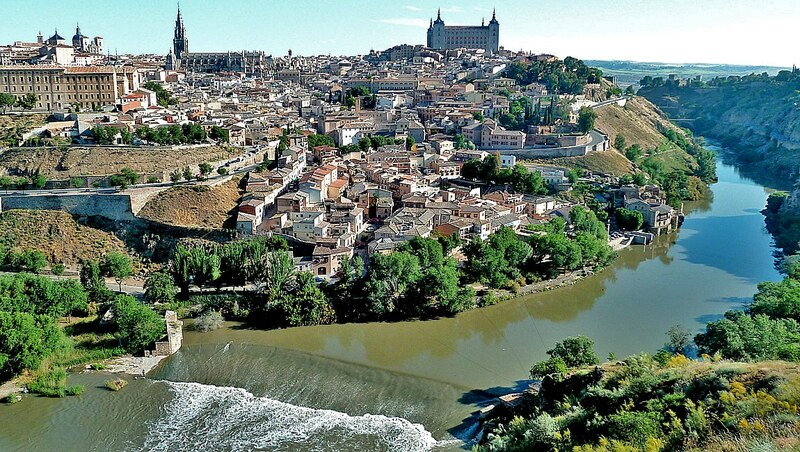 After lunch, we jump in the van and go further back in time, to the world-famous city of Toledo, which was the capital of the country in the 15th century and was once the most famous seat of learning in the peninsula. It sits on a rocky mound isolated on three sides by a looping gorge of the river Tagus. Every available inch of this outcrop has been built on: houses, synagogues, churches and mosques are heaped upon one another in a haphazard spiral. 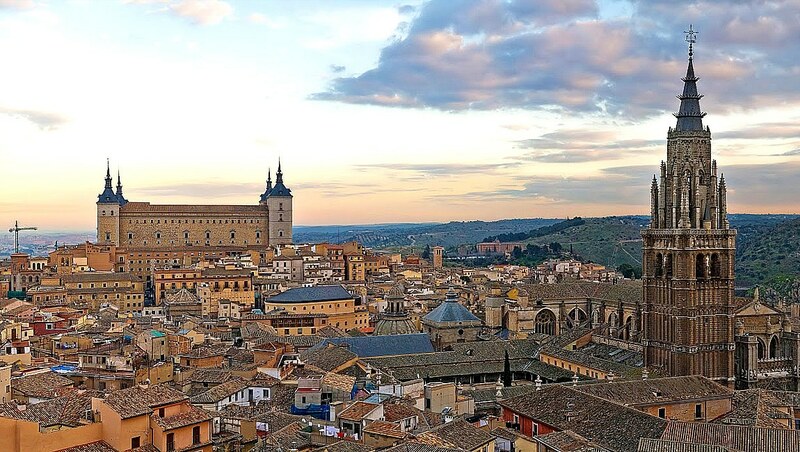 Toledo is the most significant of all cities with a strong Jewish, arab and Christian heritage at same time.Take the afternoon to discover the narrow alleys and hillside staircases that have inspired everyone from artist El Greco to novelist Noah Gordon. Toledo is the city of Federico Bahamontes (www.bahamontes.com), the eagle of Toledo and winner of the Tour de France in 1959. 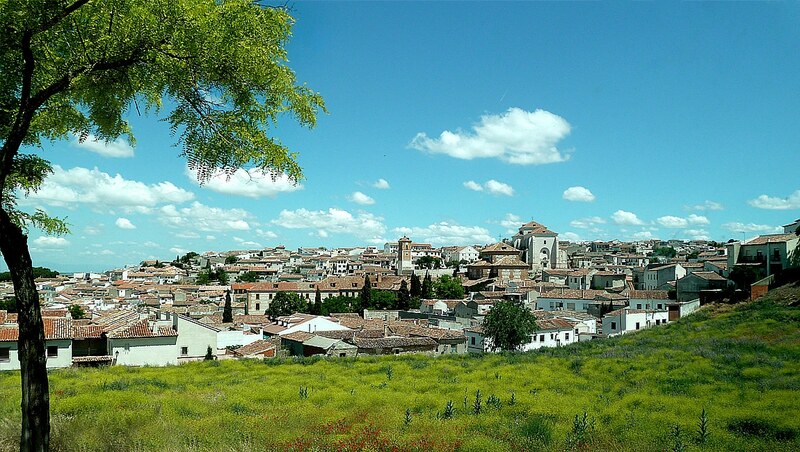 After a quick van transfer we’ll head to the town of Chinchón, which has one of the prettiest town squares in the region. 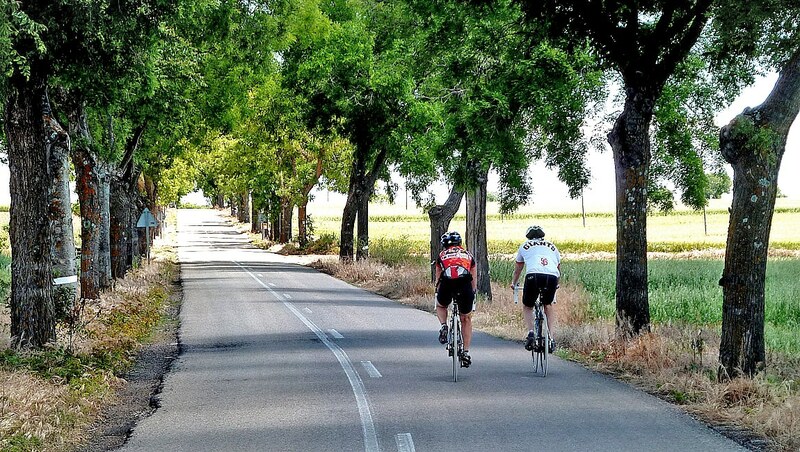 From there, we’ll ride through the rolling countryside to the town of Aranjuez, going by wineries, olive groves and melon farms. We’ll pass by Tielmes, Morata de Tajuña and Colmenar de Oreja, the towns where Alberto Contador uses to ride on a daily basis. We will go by van to see the town of Pinto, adorned with Contador memorabilia. Pinto is the hometown of Alberto Contador (www.albertocontador.com) and the town’s bars, restaurants, and locals all adore Alberto, which you’ll quickly come to see. 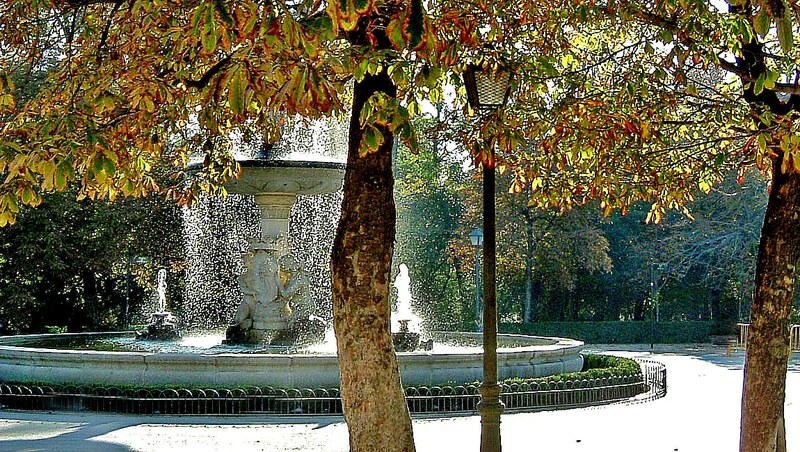 The final day of the tour gives you the chance to discover Madrid on your own, either on foot or by bike. 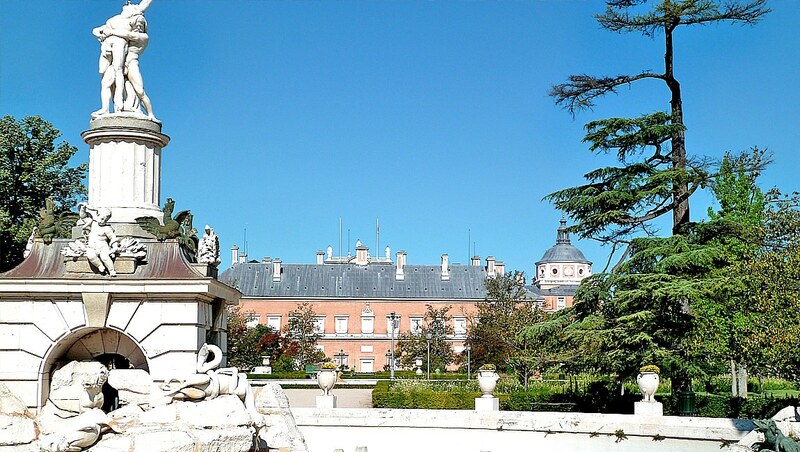 There’s so much to do that it almost seems unfair to list all the possibilities, but favorites of past participants – and of most visitors to Madrid! – include the Big Three museums (the Prado, the Thyssen-Bornemisza and the Reina Sofía), the beauty of the Retiro Park or the wide open spaces of the Casa de Campo Park (perfect for those who’d like a spin on a mountain bike!) In the evening, you’re free to go on your own tapas tour, take in a flamenco show or see something cultural at the Teatro Real or the Teatro Nacional (we’ll be happy to make the reservations for you). Time to say goodbye to the capital. 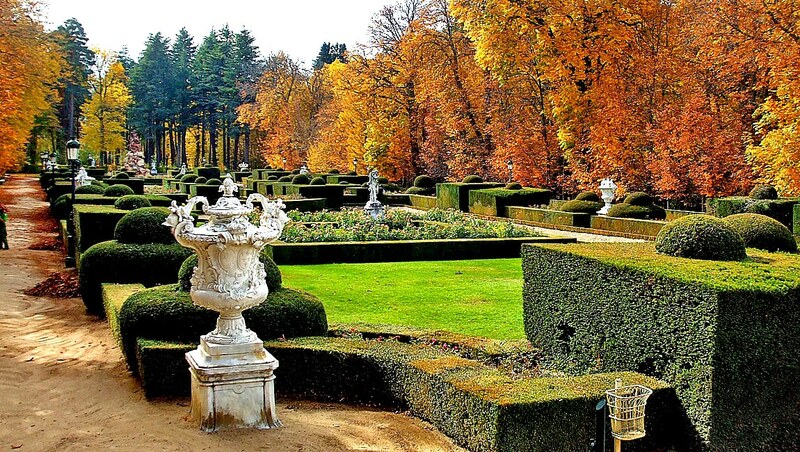 We hope that the tour has given you the opportunity to discover the natural beauty and historic depth of Madrid and the surrounding region. Hotel la muñequilla is sited in one of the most beautiful corners of the Madrid mountains. Through forests of oak and pine groves that rise almost to the top of the mountains , is the village of Miraflores de la Sierra , a privileged place in the border of the National Park of Guadarrama. The hotel has a lounge with fireplace Twenty-Four charming rooms, and a sunny terrace in addition to the many possibilities offered by the captivating wild environment. 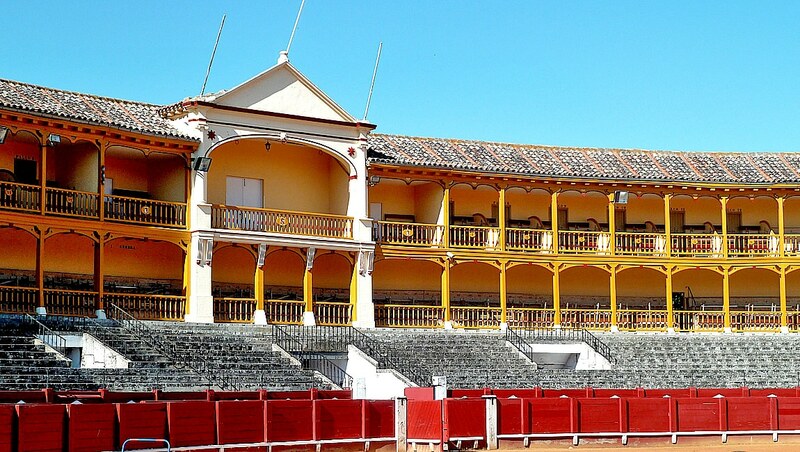 It is located 10 minutes walking from the aqueduct and the main square. Hotel San Antonio El Real is the accommodation that you are looking for: with a wealth of detail and an impeccable cuisine, it is located in a part of the San Antonio El Real Monastery, a National Monument of a beautiful city deemed as a World Heritage Site. Fully-equipped bedrooms, with Hispanic-Muslim art, boast some of the most modern services and facilities, which include a spectacular garden-cloister and the famous Cloister of San Antonio El Real and Restaurant. History, high cuisine and comfort get together. As traditional as it is avant-garde, as classic as it is bold. This is the Exe Victoria Palace. 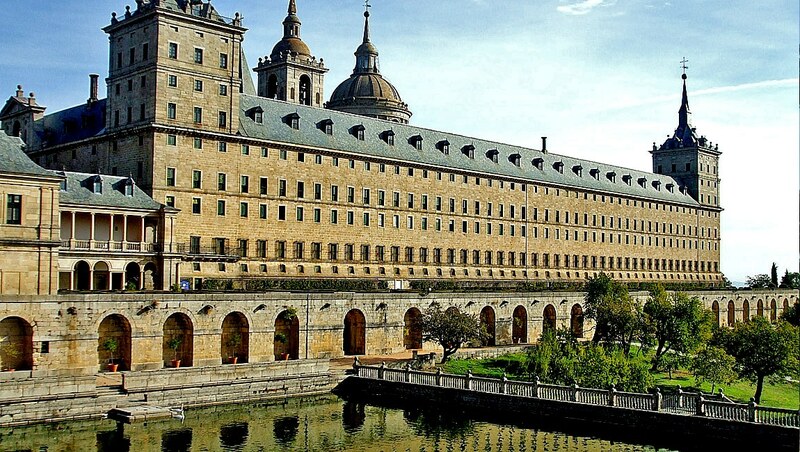 Located in the historic centre of San Lorenzo de El Escorial, classified as an Asset of Cultural Interest in the Historical Territory category, the hotel invites its guests to enjoy an area where history and culture are all around. 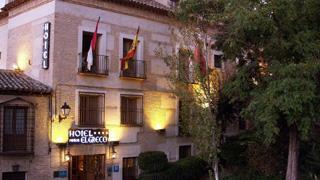 The Sercotel Pintor el Greco Hotel is a comfortable and cosy 4-star hotel in Toledo located in the city’s historical centre, an area declared of interest by the Unesco. Here you will find the Jewish quarter, the House of El Greco and the Cathedral. With a mix between classic and modern decor, our elegant hotel in the centre of Toledo has 60 completely renovated rooms, all equipped with the necessary services to offer you the maximum comfort after a day visiting the city. 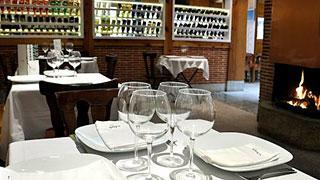 The Petit Palace Lealtad Plaza is a boutique hotel located between Paseo del Prado and El Retiro in Madrid. It is a perfect hotel at the heart of Madrid Triangle of Art, an ideal location close to the main tourist attractions of the city. Discover its complete rooms with a free iPad and relax: the Petit Palace Lealtad Plaza invites you to live a unique experience in Madrid. Accommodation: we always offer you the best hotels on the spot – charming, authentic and surprising - the most central places in the cities and the most spectacular places in the countryside. Meals: all breakfasts and 5 lunches including wine. Bikes: state of the art SPECIALIZED touring and road bikes and all the accessories you might need (optional carbon road bikes). Bilingual guide(s) to ensure that you always enjoy superior customer service. Support vehicle that helps you with a flat tyre, offers you refreshments and snacks when you need them, takes you along on the uphill of end-of-the-day parts and transports your luggage from one place to the other. Detailed information document with regional maps, a day-to-day itinerary plus hotel list and all you’d like know about Spain and the region you go to. Transportation from rendezvous to final drop-off, from our quaint region to our centrally located meeting place, both for you and your luggage. Gratuities for baggage, restaurants and hotel service. USB with photos to take home as a memory. Bike Spain Tours handle bar bag, water bottle, luggage tags and a custom bike jersey, long zip. Bike Center travel coordinator that is available to assist you with all of your pre- & post-trip travel plans and arrangements (hotels, restaurants, transport and more…). Travel insurance with medical assistance. And .. a Spectacular Bike Experience filled with fun and friendship!